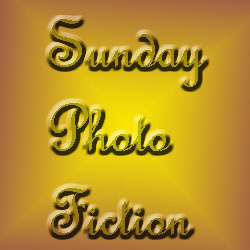 Written for Sunday Photo Fiction. Story begins after the photo. Magic had returned to the world. Unlike the previous reign of magic, we had internet this time. Hoary tomes were no longer secreted away in wizard’s castles. Soon, nearly everyone was an amateur wizard, especially those ubiquitous 14-year olds. Golems appeared once again, often made with the carelessness of youth. Contradictory instructions triggered three incidents of rampaging golems in a single month, and police were urging people to remain calm. Bus driver, John Freeman tried to. He saw the thing reflected behind him in a puddle at Gaiman avenue as the bus drove by. More reflections showed it marching down the rows of seats. It was huge like most of them. Fists that could crush skulls like eggs. It’s eyes burned with red fire as it approached him. The ponderous, unstoppable creature stalked down the aisle toward him. If it got too close it could shatter John’s spine with a single swipe of it’s immense arms. It was close. A powerful, merciless hand reached towards him. John had to act fast. At DeLint boulevard, he saw his chance. The bus lurched to a stop. “Yes, sir,” rumbled the golem. “I’m so happy to work again after centuries of idleness.” It turned and ambled off the bus. “Thank God for golems,” murmured John, and he drove away. Author’s Note: This includes a little shoutout to the literary genius, Terry Pratchett. 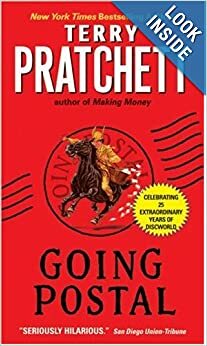 Mr. Pump appeared in the book, “Going Postal.” Read this book if you want to experience a masterpiece of imagination, and have a lot of great laughs along the way. I want to grow up to write books like Pratchett’s some day. This entry was posted in Short Fiction and tagged Alastair Forbes, Bus, Flash Fiction, Funny, Golem, Humor, Radiation Waste, Satire, Short Fiction, Short Story, Sunday Photo Fiction, Terry Pratchett, Urban Fantasy, Writing Challenge. Bookmark the permalink. Yes! The movie is brilliant. Book is better, of course, but the movie really did the book justice. Finish it if you can. It’s quite suspenseful and very funny. Hehe. Rincewind is one of my favorite characters. He could plead for mercy in 42 languages. There’s loads of Pratchett’s books and I’ve read most of them. Hilarious characters recur in most. If you get a chance to read, “Thud,” do so. The vampire photographer is a laugh a minute. Yeah, I agree. I didn’t understand the casting for that one. I imagined Rincewind was young and spry. Aw *blush blush* Thanks for that. It’s much appreciated! Thanks X. I’m working on responding to that hint. People think the internetz is that thing the Amurikins created when they dropped cables across the ocean. Now, others are trying to create an Amurikin-proof internetz by dropping their own cables across the oceans. It’s all folly, of course, since the real internetz runs by magic. For safety’s sake, we really need to get those 14 year olds off the internetz. Exactly! It’s all magic for those in the know. And those 14-year olds keep leaving everybody else in the dust. They’re making the rest of us look bad. On the internetz, they’re defeating old age and treachery. 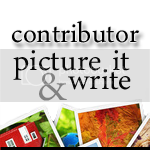 Fun story! Thanks for sharing. Apropos Pratchett – he’s such an amazing writer. He turns up in NZ every so often. I almost managed to spend an evening at the pub with him, one time – he’d been invited to join the group I was with, but politely declined. Jet lag. And fair enough too. Thank you! I would have been majorly jealous of you if you had met him. I think he’s one of the best out there. Anyone that can dream up a character like “slit me own throat Dibbler” is a genius in my book. I’d love to emulate the easy flow of ideas and humor in his writing. Magic, golems. I want to read more. Why isn’t there more? This was a fun read and I enjoyed it. Word limit. Yeah I could easily have taken that further. I may pursue this idea more in the future. Glad you enjoyed it, and thanks!